Do you want to learn English in a friendly and supportive environment in the most beautiful part of the world? Join us at the International English School Cape Town. Enrol now for our 2019 English Classes. Limited places so book early. Terms & Conditions apply. Situated in a beautiful part of South Africa, the school offers a wide range of English lessons. We also offer TEFL courses, training people to teach English as a foreign language. If you are registered at a South African high school you qualify for our holiday course. 20 hours of English per week during the school holidays. We think that learning and fun go together hand-in-hand. We place a strong emphasis on activities and outings. With over 20 years of experience, and with many references, our school and professional teaching staff have a successful history. The International English School Cape Town (TIES) offers a wide variety of courses for students who want to study in an English speaking faculty; general English skills and communication classes, business English courses, or fun holiday courses for tour groups. For teachers who want to teach English in non-native speaking countries we offer a highly intensive TEFL course. TIES was opened in 1995 by Tania Copeland. It was the second English language school to open in the Western Cape. In this time our reputation as an excellent English school has grown and attracts students from all over the world. Our teachers are all qualified TEFL teachers who bring their professional skills, experience, and expertise to the classroom. Our school is situated in Somerset West, Cape Town. The small town feel of Somerset West allows students to experience real life in English. The school is surrounded by coffee shops, internet cafes, retail and office spaces. You can find all the usual town/city features within walking distance of the school.  Somerset West, Cape Town, has many cultural and sightseeing activities for students to get involved in. For example, an active local theatre, the Playhouse Theatre, stages amateur productions throughout the year. Students who are interested in assisting in the community while attending an English school in Cape Town can do just that. Somerset West is situated on the western side of Cape Town. It is a mere ten minutes’ drive from the long white beaches of False Bay, the yacht harbour of Gordon’s Bay, the Helderberg Nature Reserve, and the Winelands district. It is about half an hour’s drive from the Cape Town CBD and 20 minutes from Cape Town International Airport. Copyright © 2019 TIES All Rights Reserved.